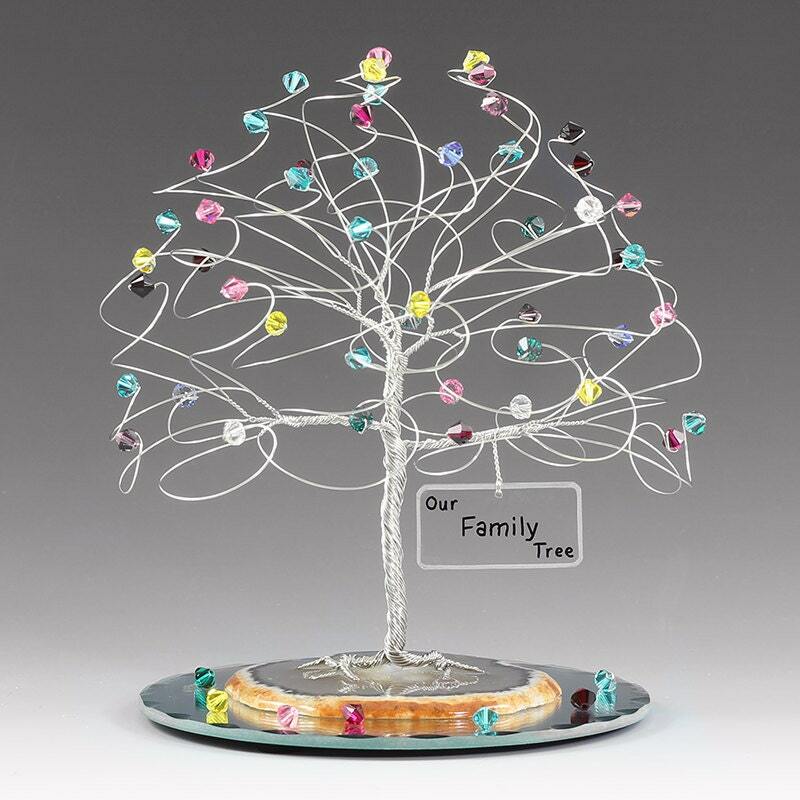 Personalized family tree measuring 6in x 6in. 2. Personalized text exactly as you would like it on the sign. Ex: "Our Family Tree" or "The Matthews Family". You may have up to three lines of text with 17 characters per line including spaces. 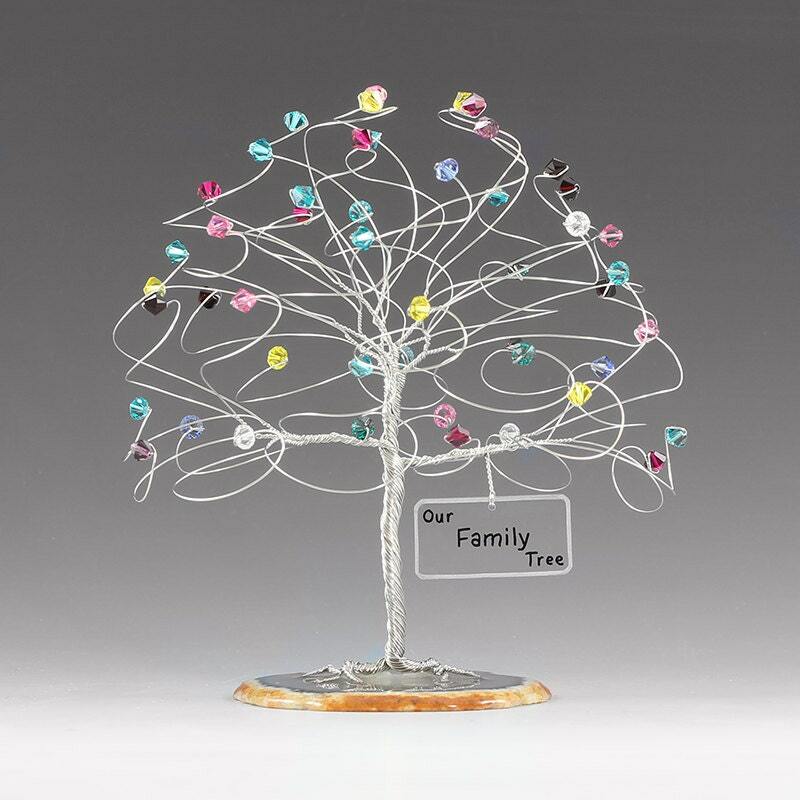 This family tree measures approx 6" x 6" and is created from your choice of silver or gold non-tarnish wire. 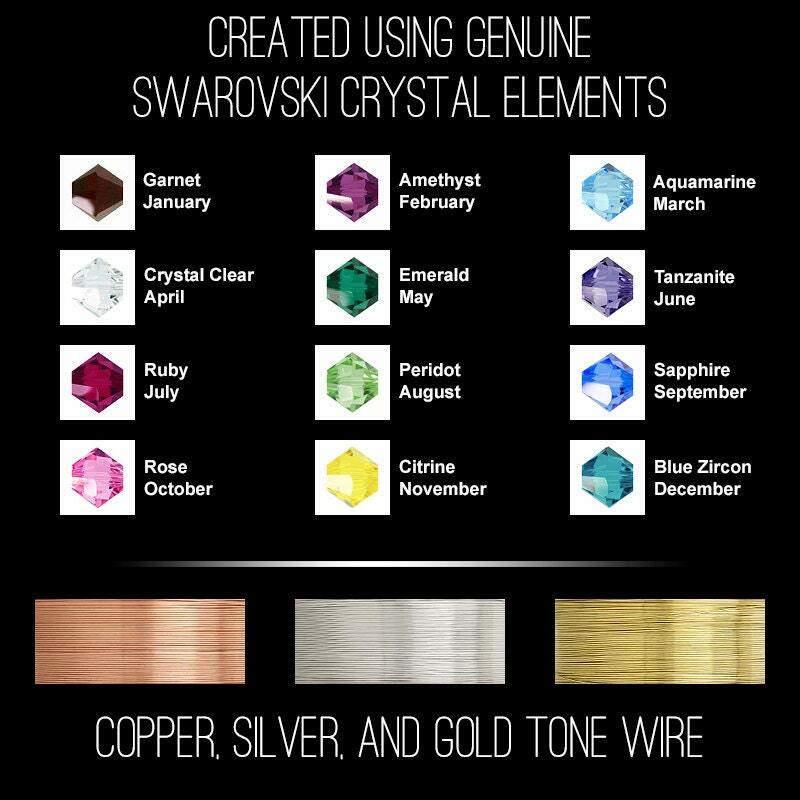 All 50 branches end in genuine swarovski crystal elements and the base is a slice of natural brazilian agate. Weight is about 4oz. Optional 5" mirror base with fallen leaf crystals available. Just select this option from the dropdown box and see the additional photo for how this looks. The tree weight goes up to 7oz with the mirror. Very cool gift idea! Was made and delivered in a timely fashion. Definitely recommended! Love the item! It will be a fantastic gift for my mother on my wedding day to thank her for all of her help! Placed the order only two weeks before the wedding and the item got to me about 5 days before the wedding! Fantastic gift and lighting fast shipping! Thank you so much! My mother-in-law is going to love this! My mother in law loved this, the quality is nice! Very cool keepsake!